A young woman lies in a medically induced coma following surgery. Last week she was injured by a speeding car, hit and thrown so hard her aorta was ruptured. She is not a famous professor, so as long as she lives… it is not ‘news’. Car accidents are daily occurrences, drivers trading information at a “fender bender” is a common sight. many cars do not stop for pedestrians. 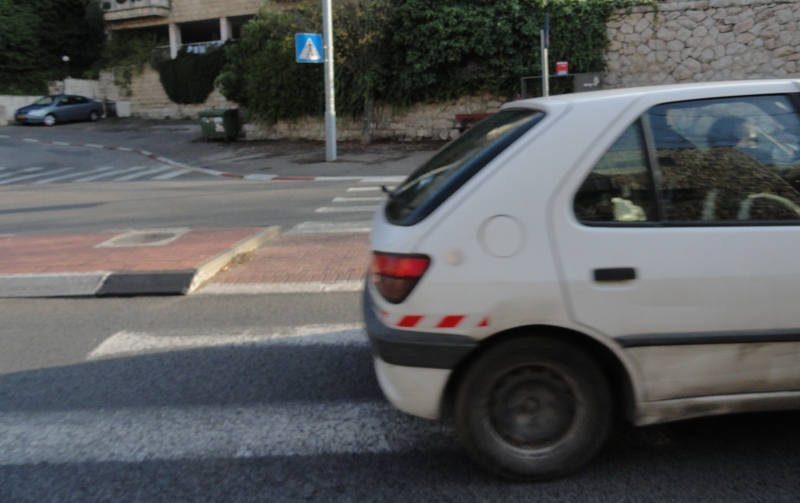 This driver sped through too fast to take a good photograph. 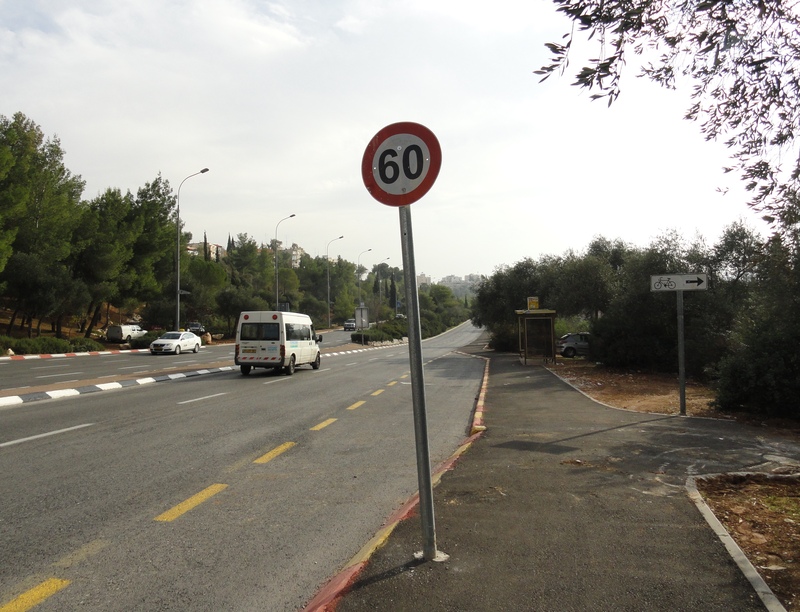 The traffic situation in Jerusalem is a serious problem. 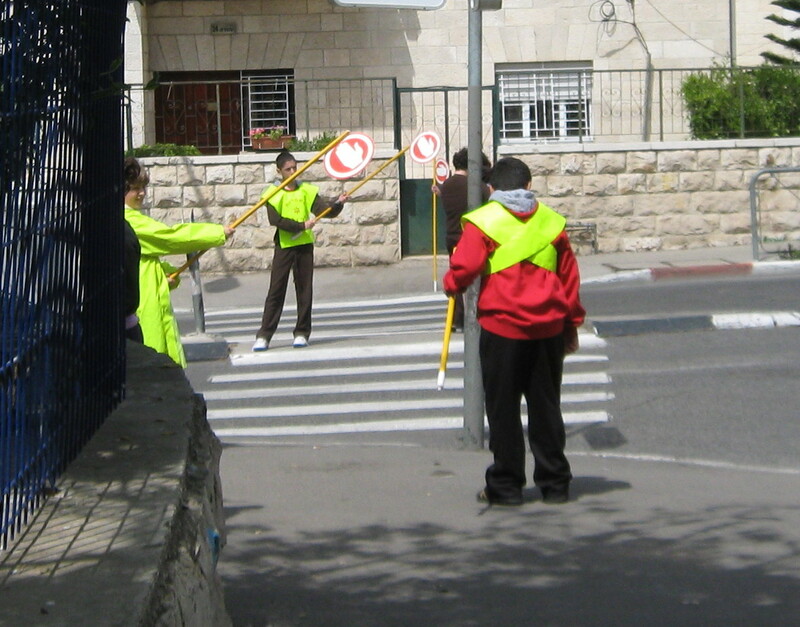 Student crossing guards are on duty during the time children come and go from school. The sign at this corner had to be replaced, as it was hit so many times. 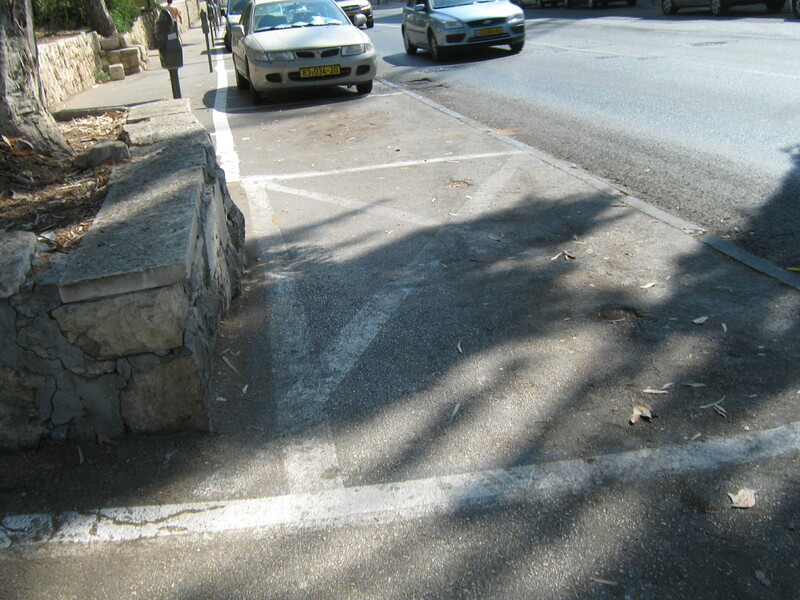 Illegal parking often creates an obstacle for pedestrians. 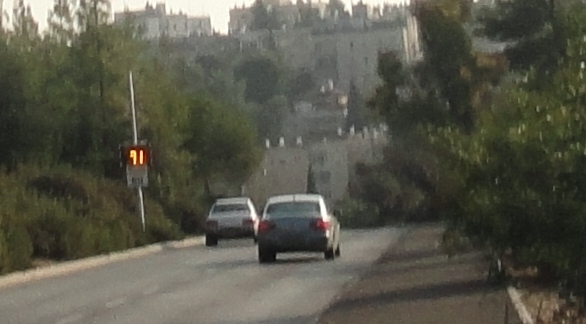 many cars slow down only after they see their excessive speeds displayed. 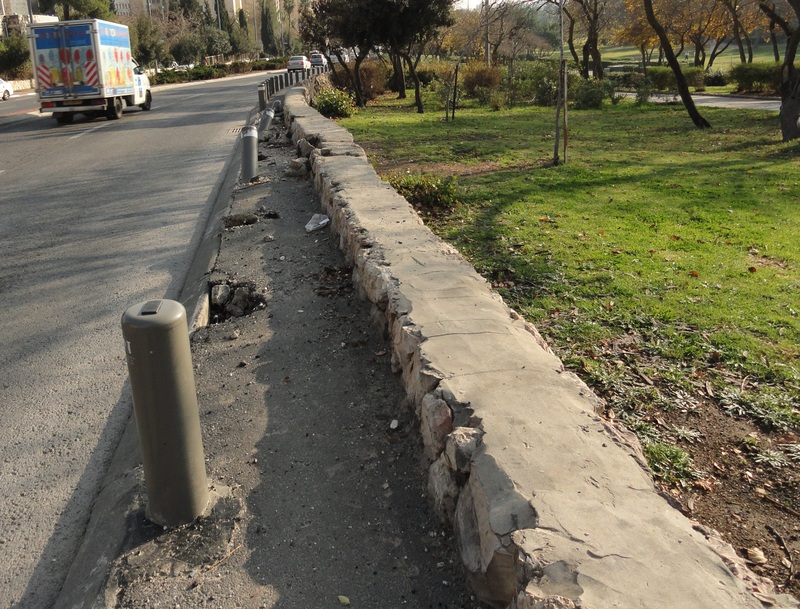 These new bollards are already smashed–it takes a lot of force to cause this much damage. 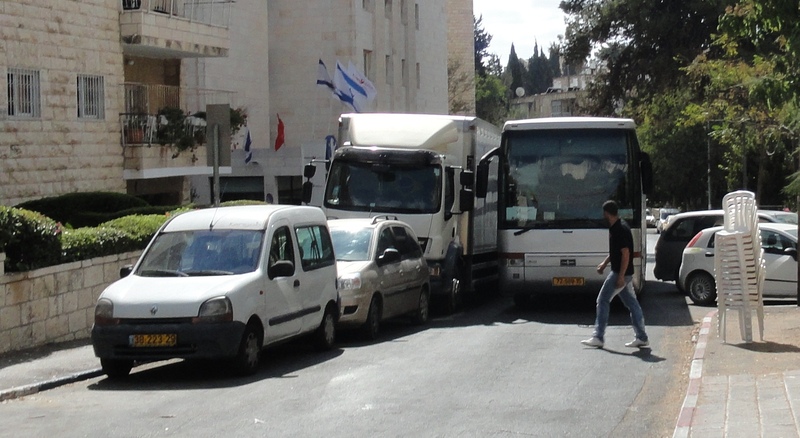 And soon the traffic situation in the city center is going to get much worse. 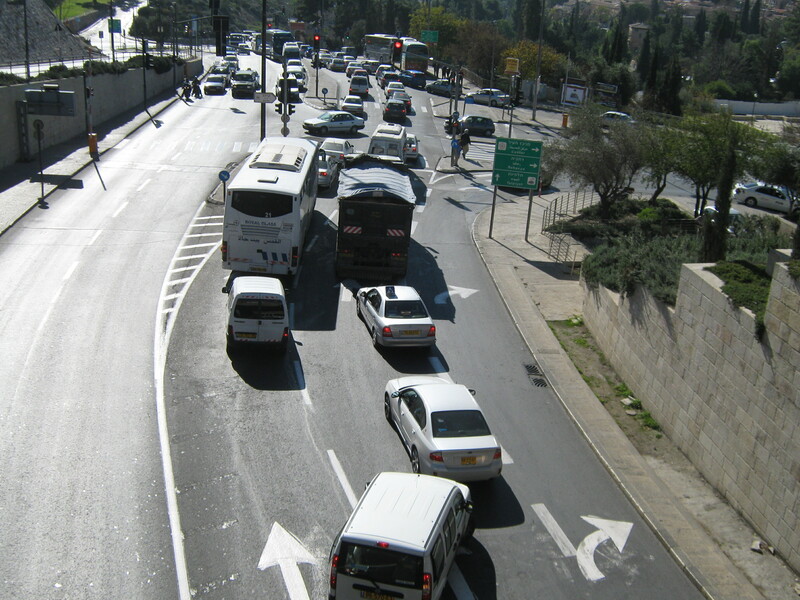 Many bus routes go through the city center on Jaffa Street. 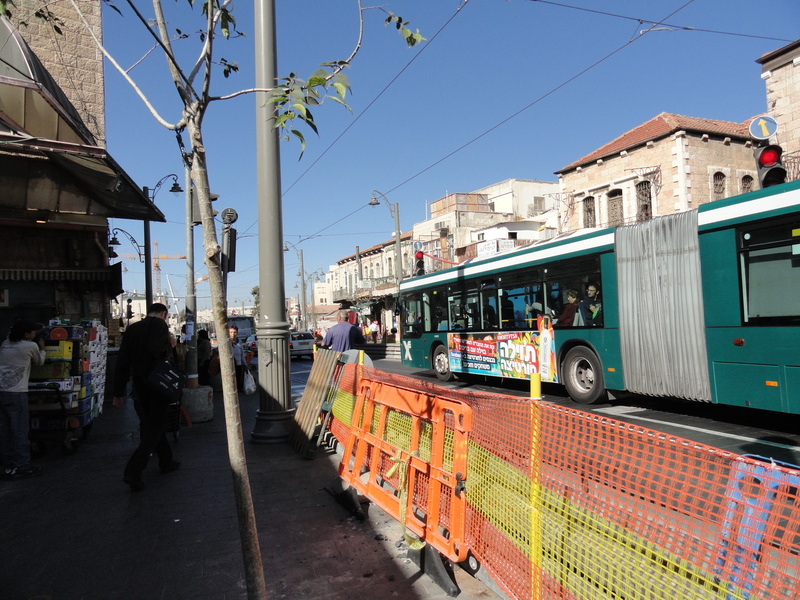 For trial runs of the the light rail system, Jaffa Street is to be closed to bus traffic. such as Hanevim Street, recently the scene of a deadly accident. we could benefit from improved road safety. 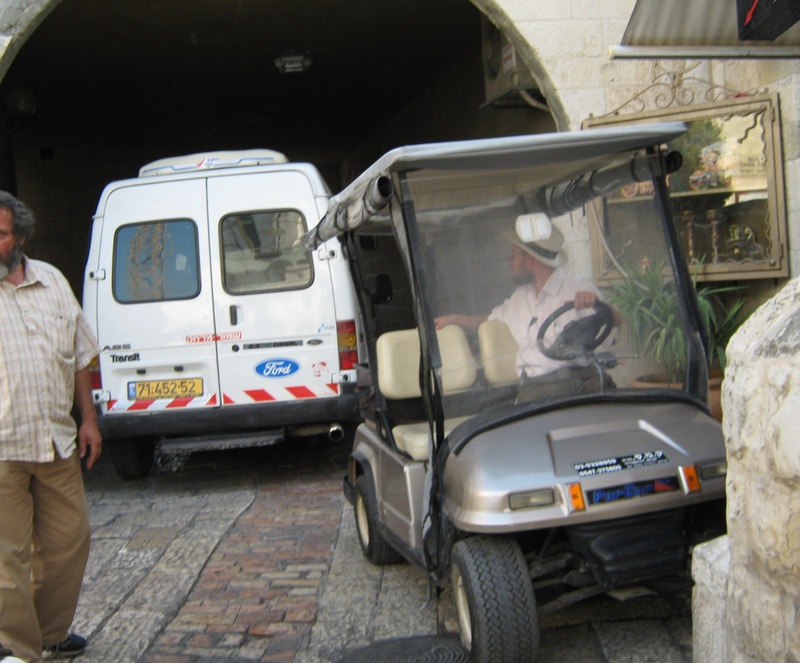 who met with the real danger of the Jerusalem streets. 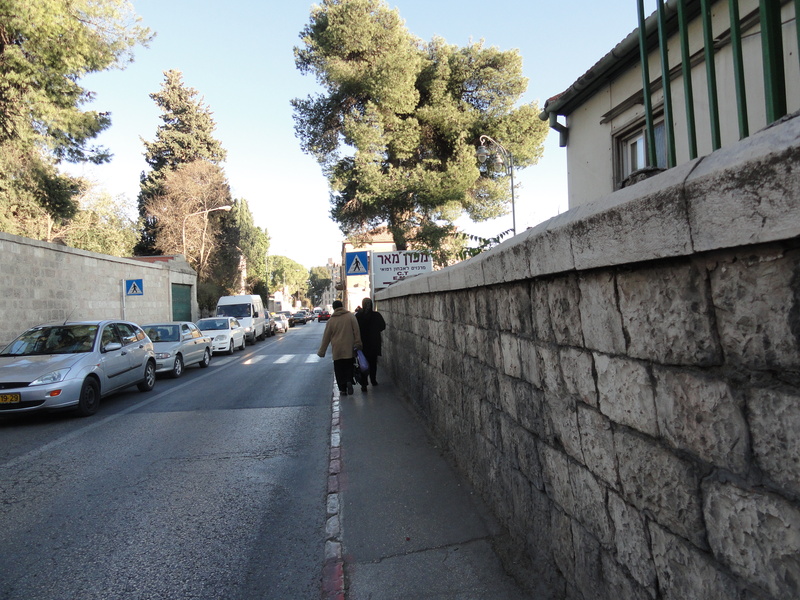 Todah, i so look forward to these glimpses of the real Jerusalem streets…blessings.. The list goes on…drivers going the wrong way down one-way streets, driving in reverse down half a block, parking at corners to block views, tailgating, honking before the light even turns green, damaging parked cars and not leaving notification, etc. Pedestrians aren’t innocent either, walking into the street without going to the crosswalk and not looking. 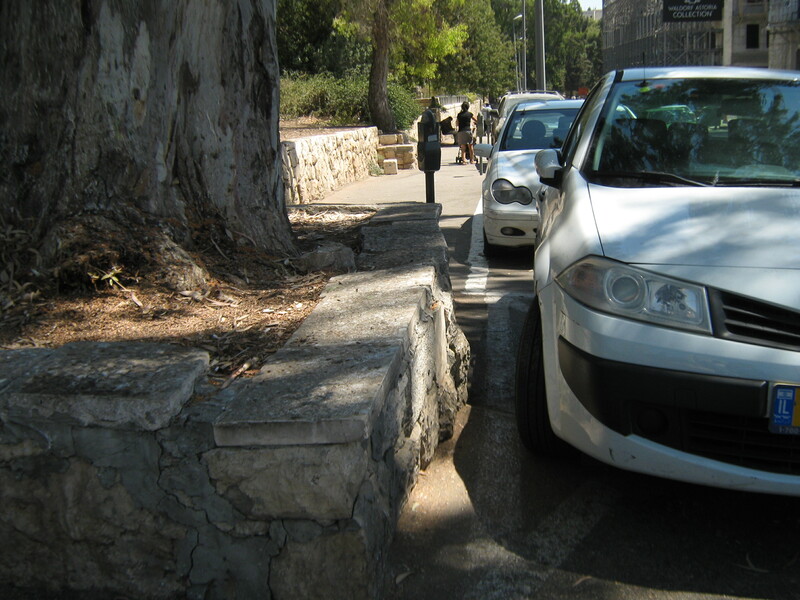 And, no police in sight, or police in sight and not giving tickets! Sharon, you are on the mark! This is a great blog with fabulous photography and important messages. 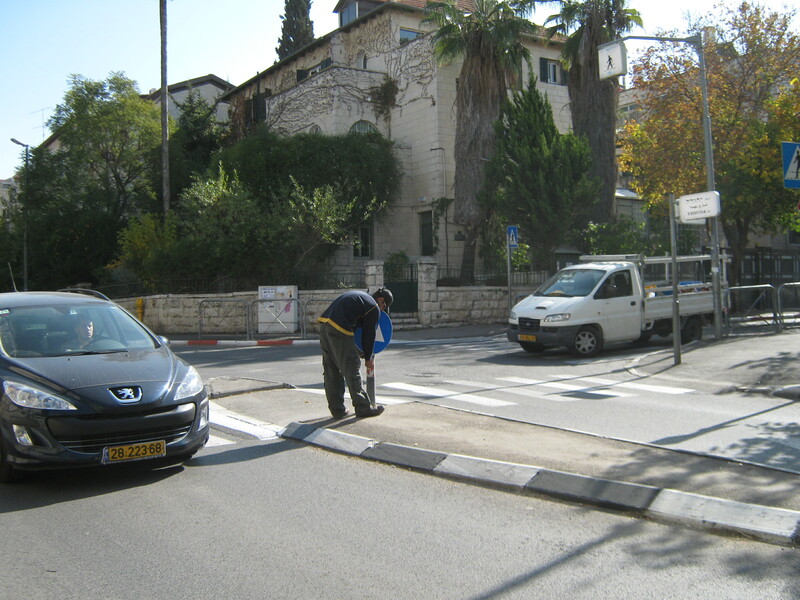 I am a Jerusalemite and am interested in working to improve a lot of the traffic issues we face. Do you have suggestions as to how I can find other people with such interests so we can collaborate our efforts? You are not the first to write on this subject…maybe if we get a large enough group we can get some reforms?